Box lunch contains a sandwich, apple, chips & a cookie. All spreads served on the side. 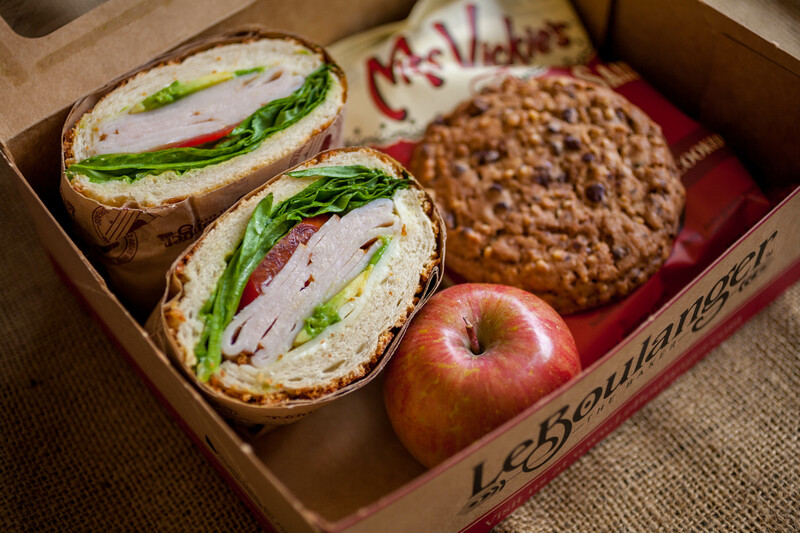 Salad Box Lunches are served with a fresh roll, apple and a cookie.